"Berlitz Manchester - 7% discount on any course"
Berlitz Manchester English language school was originally established in 1900 and has a proven track record of helping thousands of students to achieve their language goals. Situated in the heart of Manchester City Centre, our language centre is a modern 10,000 sq feet facility, equipped with 17 stylish classrooms, a café, relaxation lounge and a state of the art IT room. 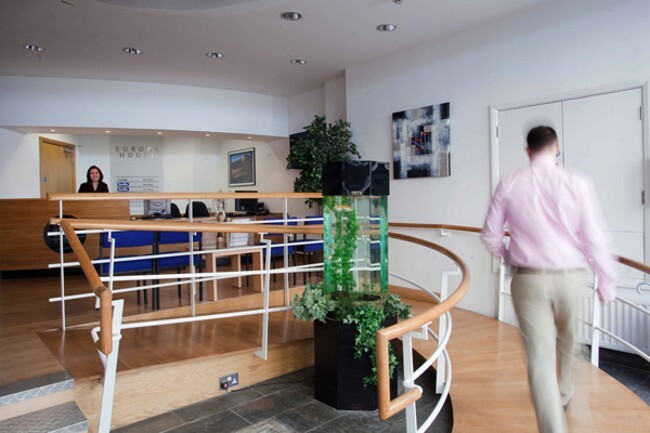 For the busy summer periods at Berlitz Manchester, we also have a superb secondary facility that offers additional classrooms and teaching staff. Our aim is to provide our students with a first-class learning experience with all the required tools and resources to succeed. Through excellent support and guidance, Berlitz Manchester prides itself in delivering consistently high standards of education. 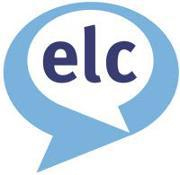 As a leading English language school in Manchester, we are always committed to delivering the highest standards of English courses that are focused on the individual learning needs of our students. Here at Berlitz Manchester we have designed and developed this superb English language programme to develop your language skills within a business context. This programme will develop a wide range of Business English skills covering areas as diverse as formal Report-Writing topics, presentation skills and sales negotiation skills. Here at Berlitz Manchester we want to give you the best help and preparation for your IELTS test. Our superb IELTS preparation programme is superb for helping you to professionally prepare for you to undertake the IELTS (International English Language Testing System) test so that you can register an IELTS score for entry to a British University. 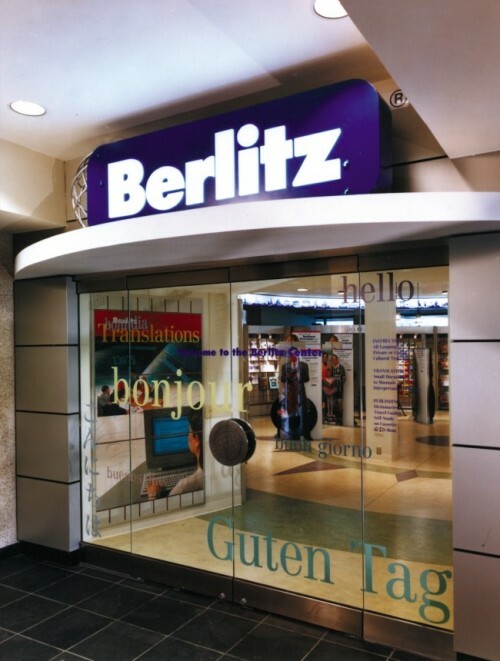 Berlitz courses are generally twelve weeks in duration which are undertaken in our superb Manchester facility with our state of the range learning materials. Our course will focus on giving you the most experience and preparation for your IELTS test to ensure that you reach your maximum potential within your tests. This outstanding English programme has been designed and structured by us here at Berlitz Manchester to prepare participants for entry into Cambridge Examinations. Our Cambridge Certificate preparation course will help you in many area’s such as, Cambridge Examinations – Preliminary English Test (PET), First Certificate in English (FCE), Certificate of Advanced English (CAE), Certificate of Proficiency in English (CPE) – are useful for higher-level students who require a widely-recognised certificate of general competence for employment or study purposes. In a ever expanding competitive market place, gaining international work experience can make that vital difference in achieving the dream job. An internship can have tremendous benefits for participants in providing personal experience of the culture, customs and conventions associated with an English speaking business environment. The skills in which our students gain while participating within our career development plus internship programme will help to allow them to achieve higher in the workplace and gain that ever so important work experience. As such, it can provide positive benefits for those planning a career with an international basis. a ever expanding competitive market place, gaining international work experience can make that vital difference in achieving the dream job. An internship can have tremendous benefits for participants in providing personal experience of the culture, customs and conventions associated with an English speaking business environment. Here at Berlitz Manchester our excellent English programmes and courses have been specially designed to ensure you that you will not only learn the English language but experience a fun and professional English course that you would enjoy every moment of. Our superb Academic English Programme has been designed to develop language and study skills within a British academic context. The programme aims to improve students’ academic grammar and vocabulary proficiency in reading and writing while at the same time, the programme aims to improve students’ academic writing skills with a focus on critical thinking, integration of reading and writing. This course finally aims to improve students’ ability to participate in university course lectures, class discussions and presentations. Our demi-pair programme is a very popular programme which has been designed for students who want to combine a study programme with the experience of living with an English family and experiencing English culture and family life while assisting in the family home. The demi-pair programme is an excellent opportunity to improve communication skills, improve fluency while experiencing UK family life; whilst also living economically during your stay in the UK. Here at Berlitz Manchester we have a superb Overseas Teachers Refresher Course which is targeted at teachers who wish to improve or brush up on their knowledge and skills of English. The course also helps teachers who wish to learn the latest teaching techniques to keep up-to-date with modern teaching skills and techniques. There is a focus on current methodologies and practical teaching skills which will help your English language skills to flourish. This is an exciting alternative to study an English course and to play golf or tennis in Manchester. Here at Berlitz Manchester our Parents and Children courses allow parents to choose from a vast variety of English language courses, whilst their child/children participate in one of our Choices International residential Summer Camps, which also includes English classes and specialised sports. Parents and children will not share accommodation or activities. While children enjoy one of our residential Choices International Junior Programmes, which all incorporate quality Berlitz Language classes, the adult programme consists of an English language course, which can be fully personalized to fit our clients’ needs. Here at Berlitz Manchester we have a superb English Crash Course for you to undertake if your looking to learn the language quickly. This English Course is perfect for those who with to learn the language within a flexible lesson schedule in a short period of time. The lessons which you would undertake within this course are on a one-to-one basis and the schedule can be morning, afternoon or evening dependent on your individual requirements. This programme format allows you to develop your own tailor-made programme covering key areas of General English and/or Business English. Here at Berlitz Manchester we offer a fantastic unique intensive Berlitz Business English Course which offers the single, most effective way to learn a language in a short period of time. The business English course starts at 9.00 AM and finishes at 6.00 PM each day and includes a ‘working-lunch’ with your teacher, a 3 way conversational session with two teachers, multimedia- study and a self-study period each day. The Business English Course is from Monday to Friday and incorporates 60 lesson units per week. Our Executive programmes have been designed over many years’ experience of working with leading blue-chip corporate clients to meet the needs of the busy executive. As such, we offer a range of Executive programmes designed to cater for the needs of both the senior executive looking for a short-term intensive programme and the Corporate customer seeking a Charter Group programme to enhance the capabilities of their international employees. A one year programme for speakers of English as a foreign language who are seeking entrance to a uni- versity bachelor’s programme. Here at Berlitz Manchester our courses have been flexibly designed and structured to meet the needs of Pilots and ATCO’s. Ensuring that our English courses are flexible will ensure that you can learn without the stress of a timetabled course which wouldn’t suit your lifestyle. Course’s adhere to ICAO guidelines and are designed to take candidates to ICAO Level 4 with superb teaching facilities and a structured study plan to suit your every need. Designed to meet the needs of personnel working in the oil & gas sector. As you may already know, the Oil & Gas Sector is increasingly becoming an international environment where English language skills are supremely vital at all levels within an organisation; weather it be Engineering staff, Executive, or Administration. This means that being able to speak English and knowing key english skills is a great asset to hold when working within this sector, or maybe even you want to undertake our course to improve on your current job role as you may need to advance you language skills to progress within your career. Our superb Military English Course has been designed to meet NATO STANAG 6001 and incorporate Levels 1 – 4. To begin on one of our military English course’s you must ensure to contact Berlitz Manchester to arrange the course which can be great to ensure we fit your busy schedule. Our course’s can be developed to suit requirements of individual client sponsors which is great for our students. 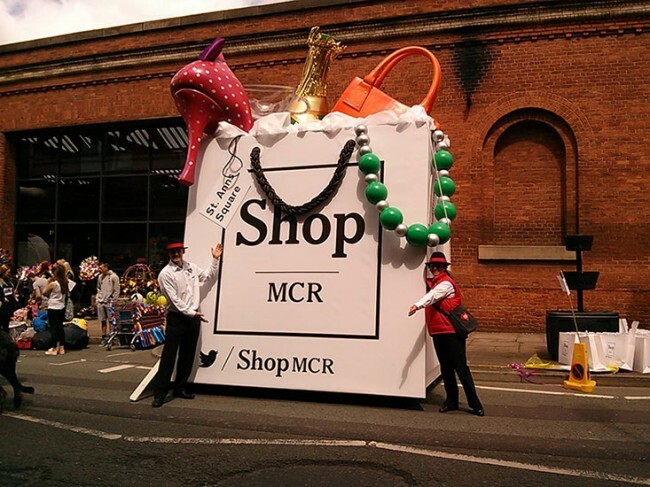 We can also include special requests but these must be consulted with Berlitz Manchester. To perfect our course for our individual students needs we will assess you from the initial meeting. Our fantastic staff with assess your overall needs through a systematic need analysis to ensure the course is perfect for yourself. The process of analysing your abilities is designed to identify language skills which need to be addressed and to focus upon an agreed goal for your language programme. The football academy study abroad is aimed for students between 18 – 21 years old who wish to study a summer English and to train and practice in our soccer academy in Manchester. This is a professional training programme so there is a 5 day training schedule with an activity on each of those 5 days. There will be at least 3 training sessions per week, with other sessions providing recovery training or after a match. This will be decided by coaches on a weekly basis. Training sessions have a duration of 1.5 hours each. Matches can be up to 2/3 hours as they include warm up and half time. There will be an activity of at least 1.5hours each day Monday to Friday. Choose one of our high quality Berlitz language courses which can be also combined with sports. This summer, we offer participants the opportunity to combine learning English with sports, activities and excursions to exciting places in Manchester! The programme is open to students aged 10 – 17 years from 29th June to 9th August. Afternoon sports options include tennis and horse riding. 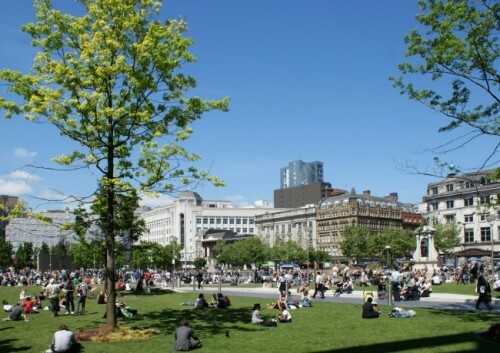 Berlitz Manchester also works with many families who offer Student Flat Accommodation. A student flat is self-catered, which means that you provide for your own meals. In some private accommodation the owner lives in the same flat as the students, in others, the families do not live in the accommodation. These are fully equipped with a kitchen for the student to cook their own meals. The bedrooms will be of the same standard as a bedroom in homestay. Student Flats are available with shared and with private bathrooms.